Grammy award winning producer Brian Burton (aka Danger Mouse) has come a long way from his controversial beginnings, first achieving notoriety for a series of bootleg releases distributed online such as the Grey Album, a mash up of the Beatles' White Album and Jay-Z's Black Album. Since then Burton has made the most of his infamy to go legit, booking gigs producing albums for major artists like Gorillaz, and his own musical projects include such successes as Gnarls Barkley alongside Cee Lo Green and more recently Broken Bells alongside James Mercer of the Shins. His most recent album Dark Knight of the Soul featured contributions from the likes of Mercer, Julian Casablancas of the Strokes, the Flaming Lips and Iggy Pop. What is perhaps most striking about the work Danger Mouse has released is the fluidity of genres and styles he has experimented with. 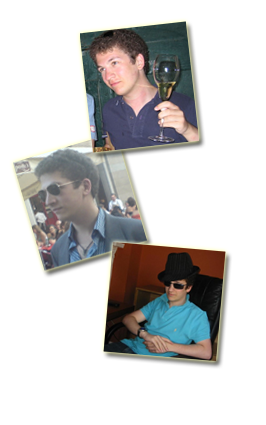 From mash-up to rap, dance, folk, rock and indie pop, Burton is an artist who likes to test the boundaries of creativity. It's just as well, as his back catalogue is a veritable smorgasbord, each one a heartfelt dalliance from a man who truly loves and understands music in all its forms. The fact then that his new album Rome is the most surprising album of the year so far is, perhaps, not so surprising at all. Rome is an adventurous album that is difficult to classify. 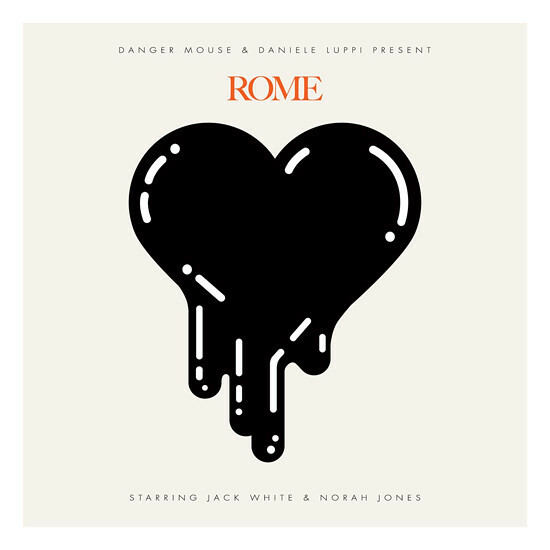 Composed by Italian composer Daniele Luppi and featuring the vocal talents of Norah Jones and Jack White of the White Stripes, Rome draws heavily upon retro cinematic stylings from 60s and 70s Hollywood and particularly spaghetti westerns, with streaks of contemporary space-age pop. The western elements are apparent from the off, owing to the extraordinary lengths Burton has gone to for authenticity's sake. Rome was recorded on vintage equipment, in the studios of Ennio Morricone (a frequent collaborator of Sergio Leone) and even features the original musicians from the soundtracks for the Good, the Bad and the Ugly, and Once Upon a Time in the West. But at the same time, the soundscape is afforded an otherworldly aura trademarked by Burton's editing and electronic effects, a combination which somehow fits together better than anyone would ever have expected. It follows then, that the album as a whole plays as much like a soundtrack as an album, and indeed at least half is instrumental, focusing on ambient evocations and mood setting. I suppose that given the subject matter it would make sense for dialogue to be as sparse here as it is in Once Upon a Time in the West, with Luppi's sublime instrumentals reminding us that the magic of films set in the old west lies as much in the majestic rolling landscapes as in the action. The few genuine pop songs serve largely to punctuate the atmosphere and do so quite successfully. However it is not Jack White's pained ruminations, but rather the timeless nuances of Norah Jones' efforts that take centre-stage here. Two of her songs are absolute highlights of the album, Season's Trees softly glowing with Jones' sultry best, and the more upbeat Spanish guitar flavouredBlack. As a production, Rome hits a very sweet note, bringing a modern twist to retro stylings, embracing nostalgia without becoming pastiche. If you're looking for the next radio friendly hit to stick on your iPod, this might not be what you're looking for, what you have here is one of the more satisfying and creative musical works of the year so far.